*Dressing contains garlic and raw egg. for 2.95. Fresh sliced mushrooms for 1.75. Marinara sauce may be substituted upon request. Gluten free pasta upon request for 2.00 extra. green salad. A Greek salad may be substituted for 2.75 extra. 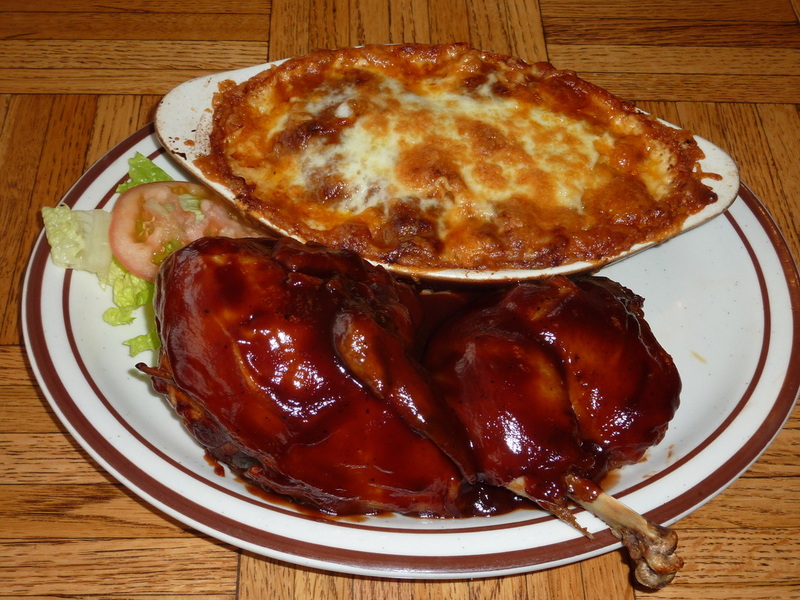 Barbeque dinners served with a side of spaghetti. tossed salad, and garlic bread. A side of lasagna or rigatoni may be substituted for 2.75 extra. Broiled tender morsels of marinated meat on a skewer. 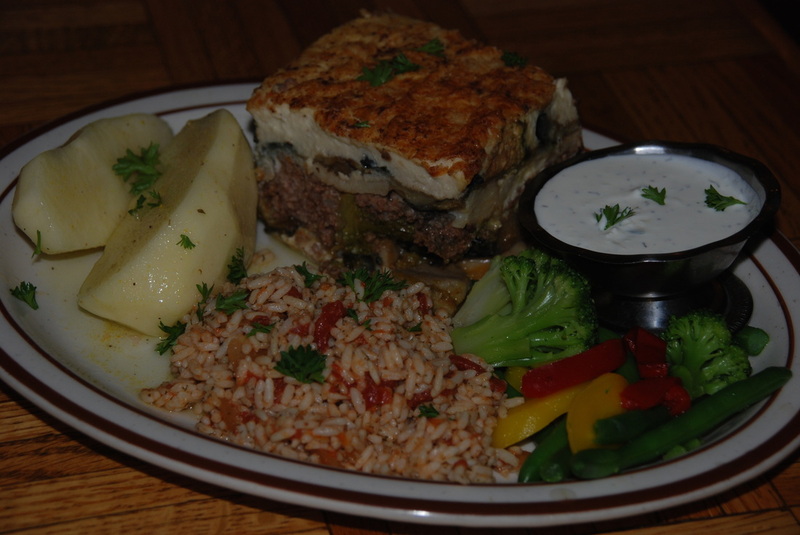 Served with your choice of rice, roast potatoes, or a vegetable, and a Greek salad. 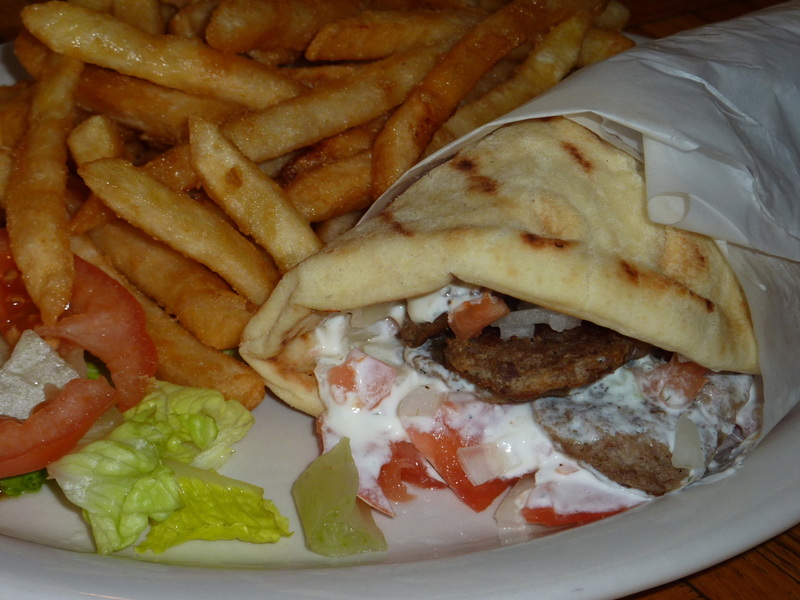 All gyros served with your choice of rice, roast potatoes, or a vegetable, and a Greek Salad. 8oz steak with sautéed garlic prawns. 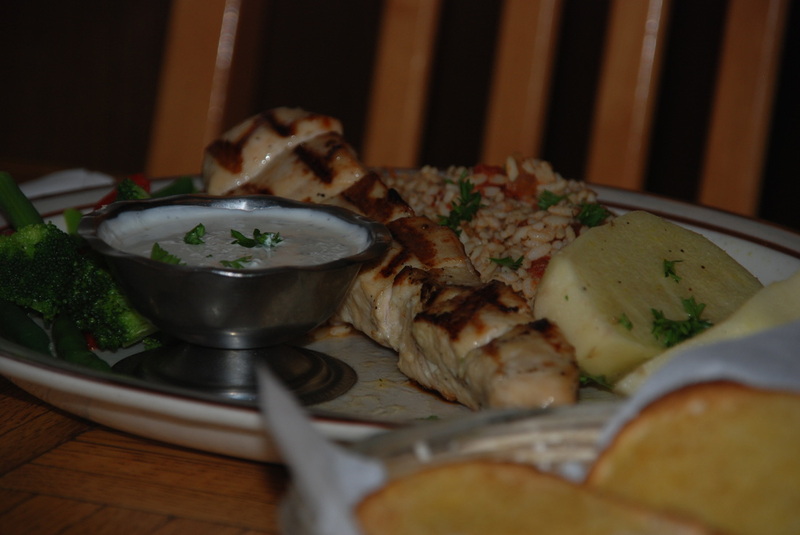 All entrees served with your choice of rice, roast potatoes, fries, or a vegetable, unless otherwise noted. with a Greek salad and garlic bread. 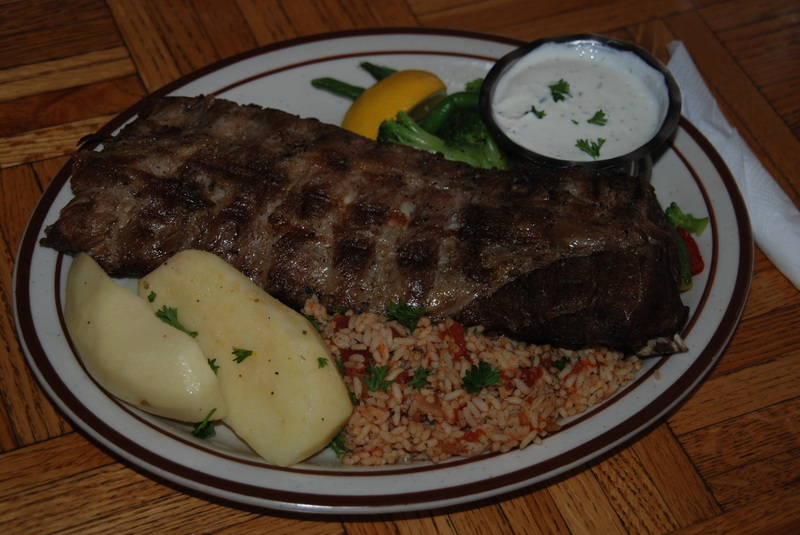 with Greek salad and garlic bread. 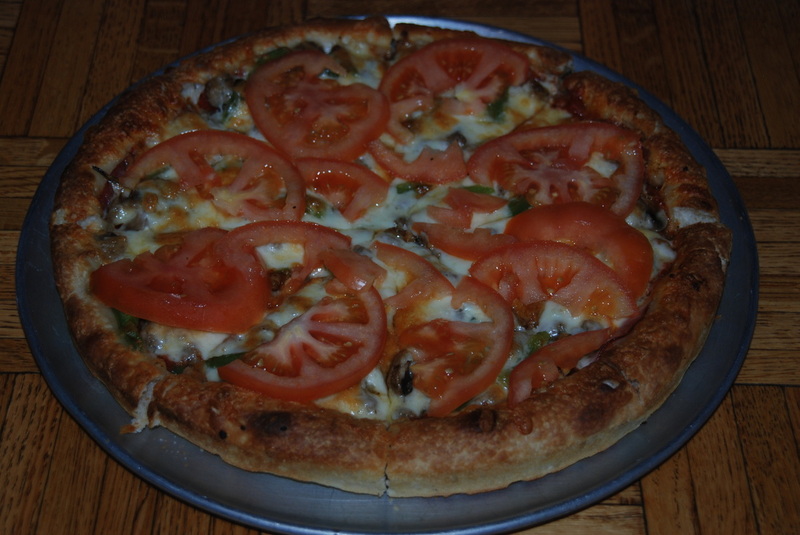 All pizzas include cheese and tomato sauce. 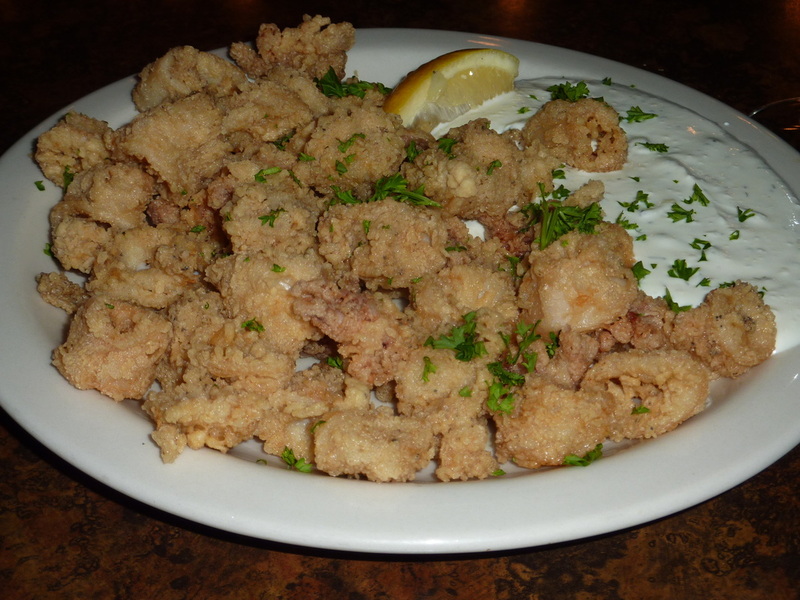 White sauce is also available upon request. ​or waffle fries may be substituted for 2.50 extra.